Mike Guerrero grew up in baseball. His father Epy Guerrero was a top baseball figure in their native Dominican Republic, according to The Huntsville Times. Guerrero told The Times in 2010 what that meant to his game approach. "Play the game the right way. Play the game with all you have," Guerrero told The Times as he managed at AA Huntsville. "I only know one way to play the game, and it's 100 percent." Guerrero has turned that approach into a nearly three-decade-long career in the game. He first spent nine seasons as a player in the minors. He's since had a long career as a coach, first in the minors, then in the majors. 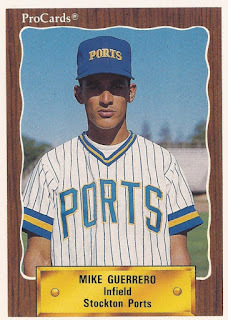 Guerrero's career began in 1987, signed by the Brewers as a free agent out of the Dominican Republic. Guerrero started with the Brewers at rookie Helena. He got into 52 games and hit .221. He went 4 for 4 in an early September game, hitting two doubles. 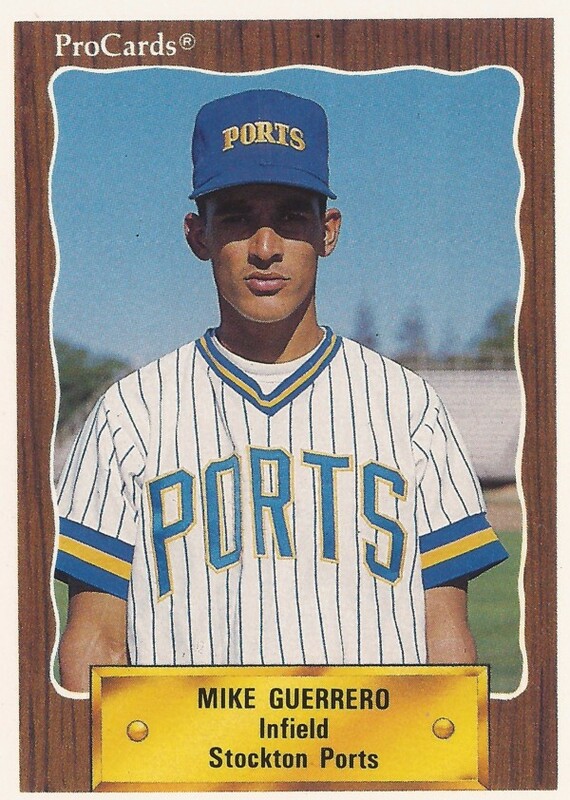 Guerrero first made AA El Paso in 1991, getting 37 games there. He returned to El Paso for 1992. He hit .245. He then moved to the Royals in a trade. He played 1993 between high-A Wilmington and AA Memphis. He had a game-winning single for Wilmington in a June game. Guerrero played in two more seasons, both back with the Brewers, ending his playing career. By 2004, Guerrero was back in the minors as a manager. He managed the Arizona League Brewers in 2004 and 2005, moving to single-A West Virginia in 2006. Guerrero managed in the South Atlantic League All-Star game with West Virginia. Guerrero took over AA Huntsville in 2010, then AAA Nashville in 2012. In late-2013, Guerrero made the jump to the majors as a coach in Milwaukee. He also won the Mike Coolbaugh Award for his work ethic and knowledge of the game. "It is my passion to help develop young players as they strive to achieve their goals of reaching the Major Leagues," Guerrero said in a statement after winning the award, according to Brewers.com. "I want to thank the Brewers organization for their commitment to me and I thank Minor League Baseball for honoring me with this award."